Stainless Steel Mortise Hinges for Door, 316 Stainless Steel Hinges - Kiesler Machine Inc. 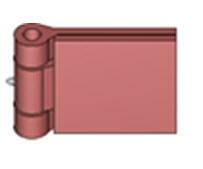 There are a wide range of hinges used today in a variety of door applications. Different types of hinges, such as security, heavy-duty and mortise hinges are being used depending on the application requirements. The heavy duty mortise hinges are hinges that are designed in such a way that when they are installed properly on a door or an application area, they sit flush with the surface. These industrial mortise hinges are fabricated from 316L stainless steel material. 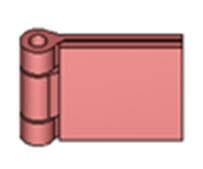 These are premium types of hinges, which are most commonly used in those applications which demand heavy door or gate weights located in unfavorable locations. Also, these hinges are capable of witnessing, as well as surviving a large amount of traffic. These 316 stainless steel mortise hinges are designed in such a way that the half surface or one leaf (half mortise) or both its leaves are perfectly mortised into the application area. Thus, only the barrels of these hinges are exposed. We, at Kiesler Machine Inc., are known for our vast inventory of heavy duty mortise hinges, as well as half mortise hinges. 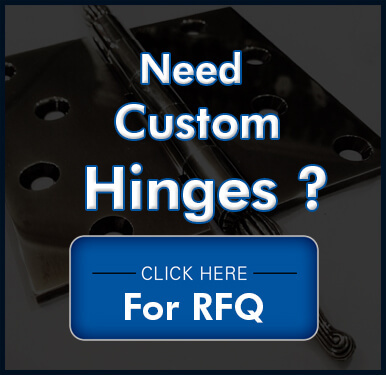 The hinges that we provide are capable of delivering high performance for a long life. We can provide 316 stainless steel mortise hinges in different specifications. 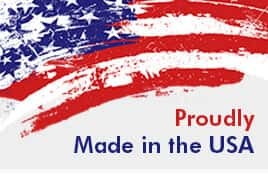 All our hinges are proudly Made in the USA. 316 stainless steel is very corrosive resistant for the most challenging environments. Convenient weld-on design or available with mounting holes. These medium and heavy-duty mortise hinges feature non-handed design for either left hand or right hand mounting. 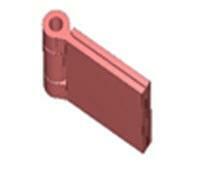 Mortise hinges offer great support to heavy weight and medium weight doors having high traffic usage. 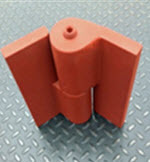 They feature heat treated and precision ground alloy steel pin. Maintenance free design for years of trouble-free service. These hinges are an ideal match for applications like heavy weight doors and gates for food processing centers, doors and gates having harsh environments and salt water conditions.